Born Silvano Proietti, son of sculptor Vincenzo Proietti (1876-1945) and Agata Monti (1873-1948), he was baptised at S. Giovanni Laterano and changed his family name into Benedetti in 1928. The reason is still not clear. 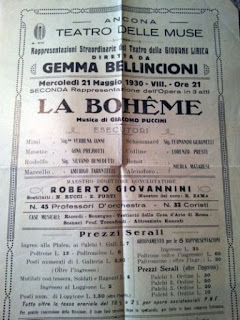 There is evidence of public performances already since 1924 in Rome – under the name Silvano Monti (using the surname of his mother, Agata Monti) or even Silvio Monti. In an very early review from “Piccolo Giornale d’Italia”, he appears as “tenore Proietti”. He took lessons with the famous teacher Giovanni Villa (from Rome). 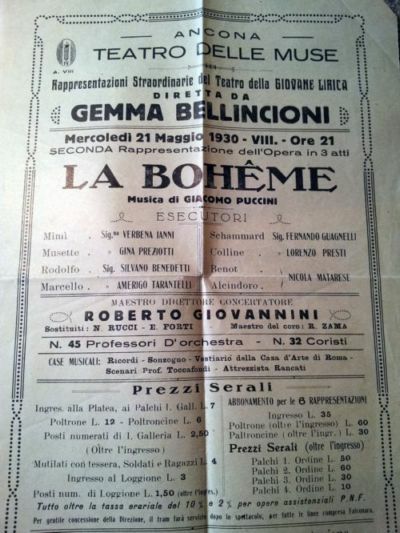 Between 1928-1930 (at least) he participates to the courses of Gemma Bellincioni at the “Teatro Sperimentale Internazionale della Giovane Lirica” in Rome. 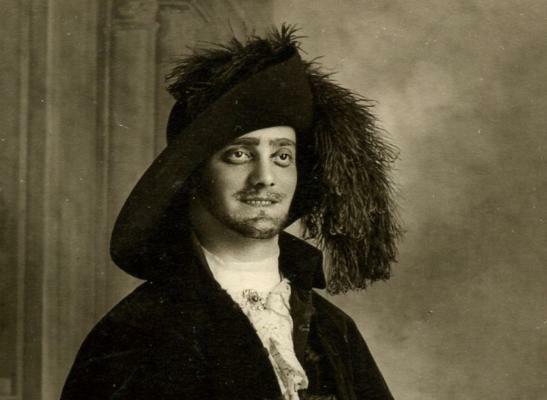 At some point he had also an interaction with Maestro Giulio Moreschi, tenor, the adoptive son of castrato Alessandro Moreschi. He sang mainly romantic opera: roles (or excerpts) from Rigoletto (Duca), Luisa Miller, Boheme (Rodolfo), Lodoletta (Mascagni), Masnadieri (Verdi), Lucia di Lammermoor, Faust, Fedora, Gioconda, Traviata (Alfredo), Turandot (Calaf), Aida (Radames), L’Africana, Fanciulla del West. 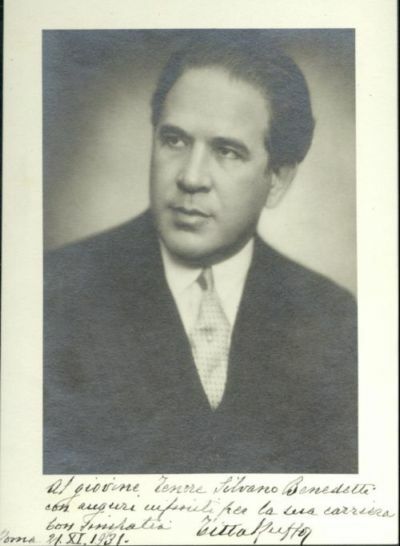 His career was interrupted in the middle of the 1930s, when it was at its most promising point, due to a sudden neurological loss of hearing – which, seemingly, happened on stage during a performance of Lucia di Lammermoor. This dramatic event would mark his life forever. He was a Cavaliere dell’Ordine della Corona d’Italia. After participating as a volunteer to the First World War as an aviator, he was later an ufficiale of Civil Engineering during the Second World War, especially in Albania. 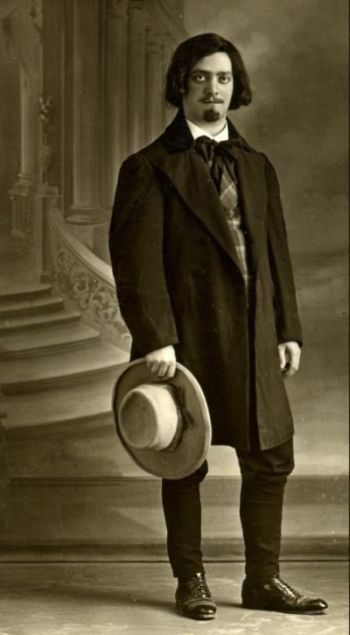 During the escape from Albania, he was a prisoner of the German SS in the Lager of Semlin (Belgrad) – being able to return to Italy at the beginning of 1944 hidden in a wagon of cows. By this time his hearing handicap became worse. After having to give up the musical career, he worked at the Ministero dei Lavori Pubblici in Rome until his death, a work that he started already during his musical career. He died tragicly in the night between 27th and 28th March 1962. 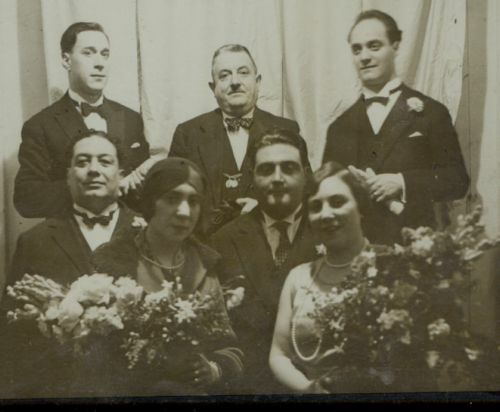 His grandson Flavio Ferri-Benedetti (born 1983) is a countertenor. I would like to thank Flavio Ferri-Benedetti for the information and photos.